A flexible beam coupler is a type of universal joint. It can cope with the two shafts being at a very slight angle to each other and it also allows for them to be slightly offset to each other. The coupler is basically a tube. At the ends the “tube” is some form of coupling to allow two shafts to be fitted. In between the body of the tube is cut to form a helix. If the angle of the helix is very high then the thickness of the helical part becomes thin enough to be slightly flexible. It could be made with one helical cut but having more than one helix interleaved provides higher torque capability and reduces windup. Also, by having two sets of helical slots at the ends of the middle of the coupler improves the ability to cope with misalignment. 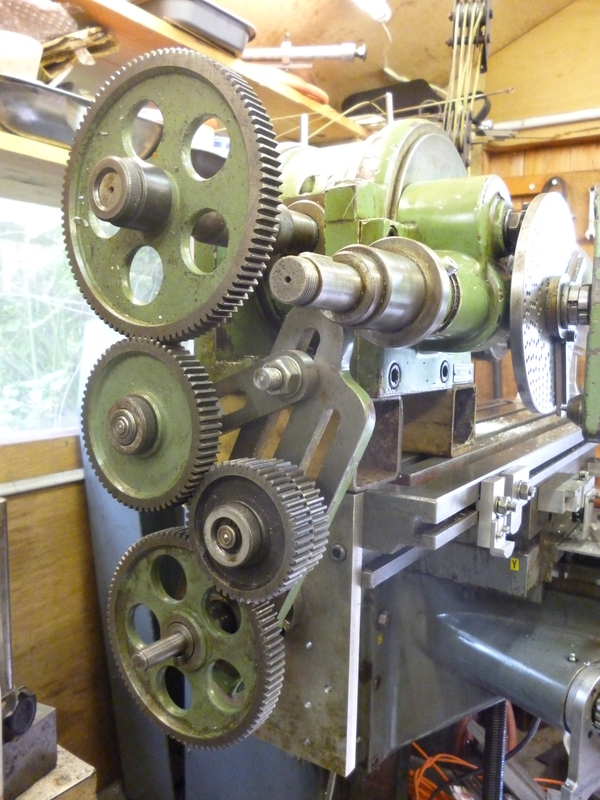 The workpiece is held in a chuck on a dividing head. Since the helix is formed by the table being driven along as the workpiece rotates a dividing head with an auxiliary input is needed. The vertical head is tilted to give the necessary helix angle. The cutter is a slitting saw held on a stub arbor. The workpiece is solid at this stage. 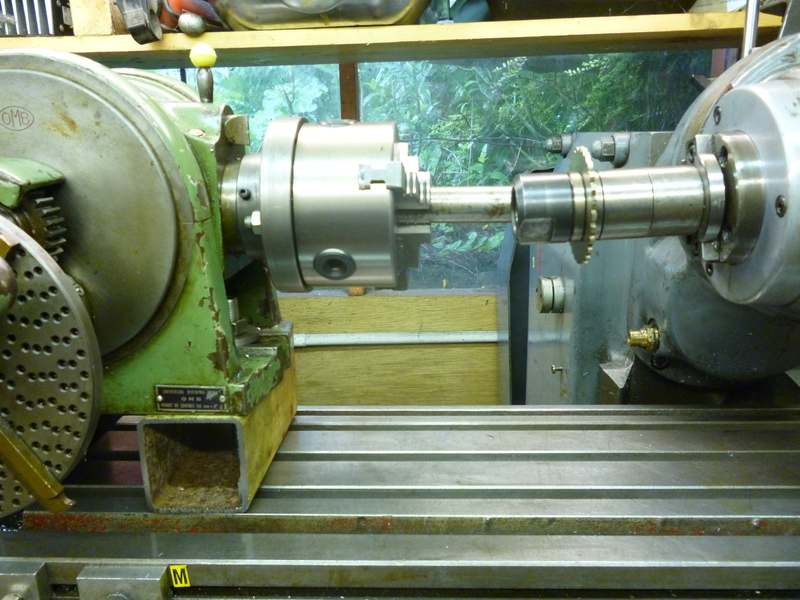 After the helices have been cut it is drilled and reamed for the size of shaft the coupler has to take. 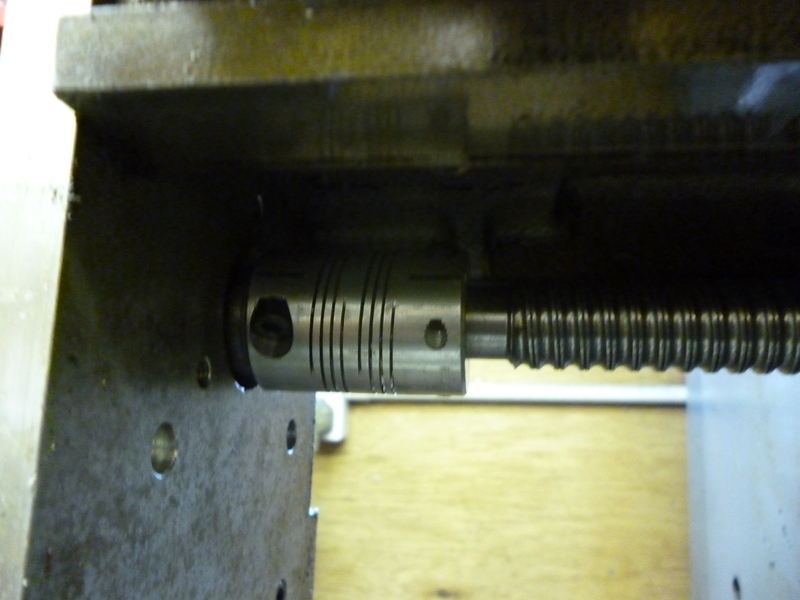 This only works because the component being made is right at the end of the workpiece. This is not supported so the vertical head can be tilted at any angle. The milling table does not rise enough for the axis of the dividing head to be near the axis of the vertical head when it is horizontal. It is mounted on risers. The helix angle is around 95°. This means the gearing is around 1:1. But if the auxiliary shaft is driven there is a reduction of 40:1 between the worm and wormwheel. Not only is this a high ratio but it is the wrong way round – the leadscrew needs to turn the auxiliary input 40 times faster. The only way to get the required ratio is to bypass the worm and wormwheel and drive the shaft of the dividing head directly. 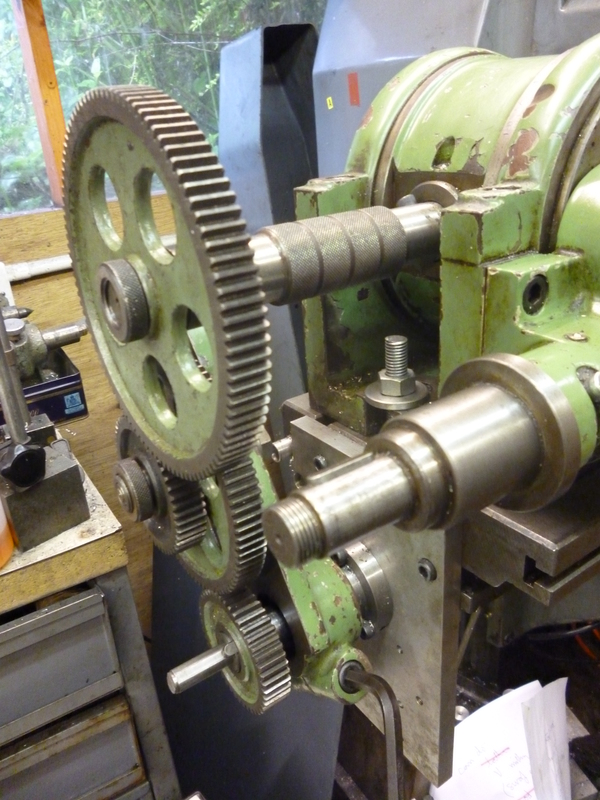 In order to get the gears to fit an extension piece has also been used. It was not possible to use a very thin slitting saw. And only a surface cut is shown. There is a serious problem using very thin slitting saw blades. This is that they are meant to be used flat. But a cut in a helix is not flat. If a very thin one is used it will try to follow the helix. A thicker one will cut the helix so a flat disc can go through it. A thinner one might do better if it is fitted with keepers. Thanks for information given making of Flexible Coupling. We want to manufacture these couplings..
Can you provide us detailed information, how to setup machine for manufacturing these couplings. I have gone through this page and made some corrections and added a photo. I think it includes everything I know about making flexible beam couplers. If you have any particular points let me know.